Home General Used Clothes Can Take You There. Used Clothes Can Take You There. Bend down boutique is big business, check it out, the lady walking in front of you may be putting on one. Add some class into the selling and you make money. Get a shop in a well-trafficked place. Do not let them bend down let them sit down. Make the shop beautiful with coloured bulbs. You will need a generator set as our electricity is not reliable. 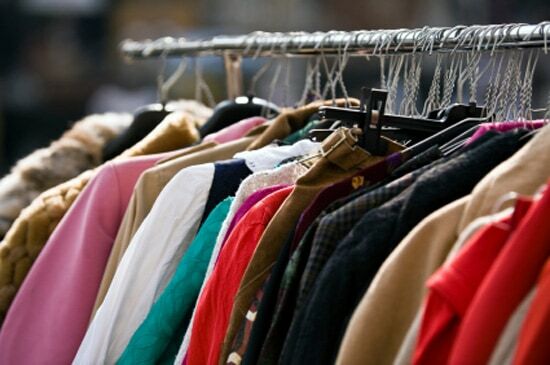 Racks and hangers must be used to arrange the clothes neatly. Clothes look better under light. Most of the used clothes are imported ,so, until you have the money to import, you have to go to the importers to buy. They have locations in all big cities. Most practitioners in Ibadan go to Lagos to buy though. Occasionally traders combine money to send one of theirs to reduce cost. The business is very lucrative as you can make 200% gains on an item. When you make purchase, some of the clothes may need dry-cleaning. Either you do the dry-cleaning yourself or you give the job out. Whichever way, it enhances the value of the cloth. Torn ones have to be mended you know. Buying cheap is the secret. You must buy cheap to make good profit so get to the source. MARKETING: A neon light signboard in front of your shop is imperative. You may also use local radio and newspaper if available. Be nice to those who enter your shop.